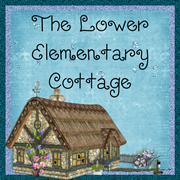 The Lower Elementary Cottage: Teacher Appreciation Sale! 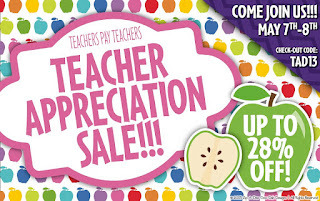 The Teacher Appreciation Sale is HERE!!! Well almost... it starts TUESDAY! A big shout out to Beth at Zip-a-dee-do-dah Designs for the awesome sale banner! She comes up with the cutest stuff! I have a feeling I'll be stopping by her TPT store during the sale! Everything in my store is 20% off during the TPT sale, and they are chipping in an additional 10% off when you enter the code TAD13 on Tuesday and Wednesday this week! Are you feeling impatient? Well I've got news for you! I actually have everything in my TN shops at 25% of RIGHT NOW! And they are giving an additional 10% off your orders all week! The Teachers Notebook sale runs May 4-10 and you can enter to win $100 to Oriental Trading! What teacher wouldn't LOVE to win that! I could get lost in their catalog for HOURS!! If you click the image below, it will take you to my TN clip art shop, but don't forget I have a teaching materials shop there too! The link is in my side bar. 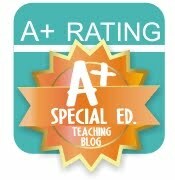 Sorry for such a short post today, but I'm on a mission to finish my Special Education Visual Directions Clip Art Collection of my super amazing friend Heather at Teaching Through Turbulence so she can get an extra discount during the TPT sale! Trying my hardest to get this 30+ image set ready for her (and any of the rest of you SPED teachers) to get it a little cheaper during the sale! What do you plan on picking up during the sale? I think clip art and fonts might be my biggest wishlisted items.